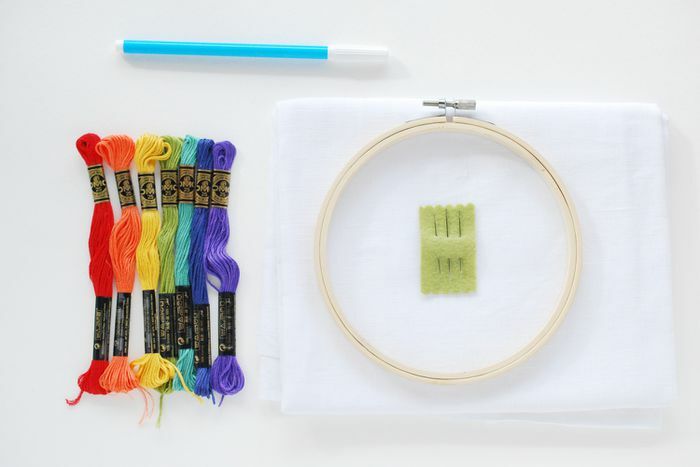 Starting and ending an embroidery thread without knots will give you the best possible results with your embroidery project. Your project will wear better and look better if you take a few extra moments of stitching time to start and end right. Knots are really not necessary in any embroidery project because you can secure the ends of the threads in other ways. What's more, knots can make the back side of a project untidy and bumpy and you can often feel them on the front side of the piece. Knots usually have a bit of a tail, which can show through on the front side of an embroidered project. Worse yet, knots can actually be harmful to a project, as they can unravel with use or laundering. As a result, precious stitches are lost over time. Take your threaded needle to the back of your fabric with your last stitch. Run your needle under the last couple of stitches. For extra security, you might weave through the last few stitches, going under the first, over the second, under the third. 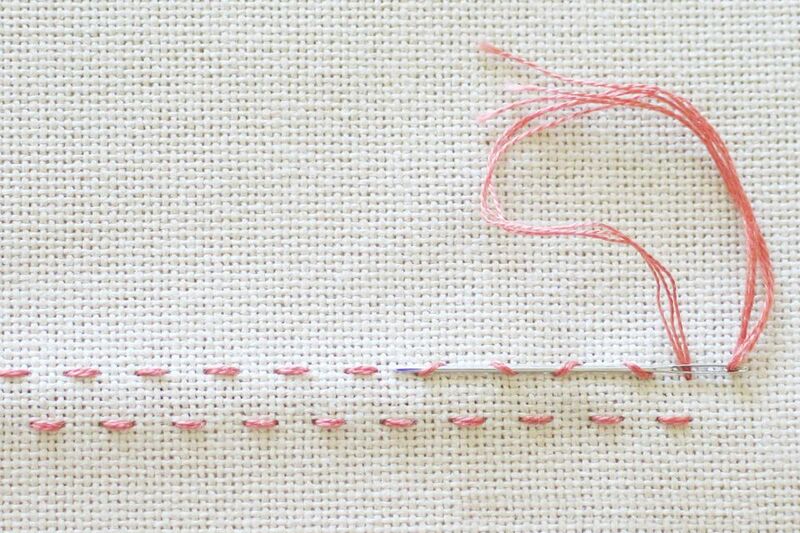 Surprisingly enough, the best way to start a thread is with a knot — but it's not a permanent fixture in the back of your embroidery. Rather, using a temporary knot makes it easy to start your stitching without risk of pulling the thread through, all the while securing it in place and keeping your work tidy. There are two basic temporary knots used to start embroidery. These are the away knot and the waste knot. Both versions start with a knot at the end of the embroidery thread. An away knot works with virtually all embroidery stitches, while a waste knot is best worked with a stitch that has the potential to cover the tail as you stitch, securing it in place. Satin stitch and cross stitch are two good examples, as both of these stitches cross the tail of the knot on the back side of the work. An away knot is worked 3 to 5 inches away (hence its name) from the area where the embroidery begins. The knot is clipped after working the embroidery, and then you thread your needle with the tail and weave it through the stitches on the back side of the fabric in the same manner as you weave the tail when ending a thread. Note that you will be wasting a few inches of your embroidery thread, so you may want a different option if you are using expensive thread. You also need to be careful not to cross your threads with the tail of the away knot while working your embroidery. A waste knot is placed on the front side of the fabric, drawing out its tail on the back side to work over. As you work towards the knot you are covering and locking the tail of the knot in place. Once it is secured, you trim the knot away. All of this said, if you do use plain old knots to start and end your embroidery, the embroidery police will not come after you. It's okay to use the method that you're most comfortable with. Just consider how a piece will be used and how those knots might end up looking from the front.